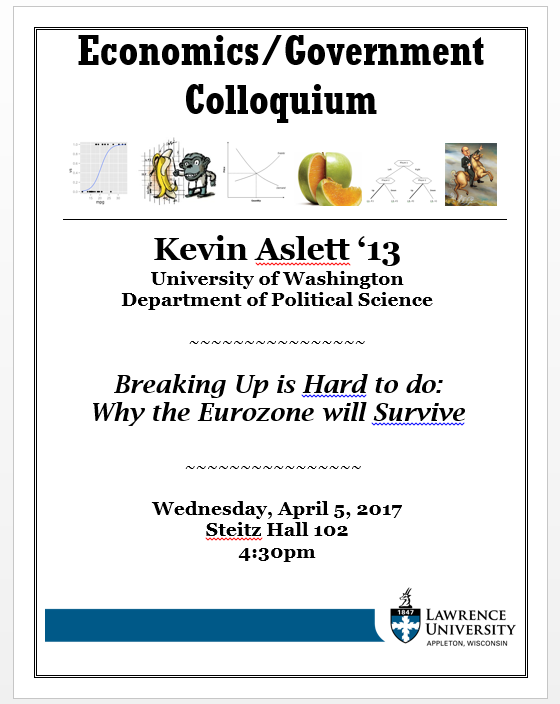 Economics Colloquium, Tuesday at 4:30 p.m.
More on the LU homepage here. UPDATE: Schafer tapped to lead Large Synoptic Survey Telescope(LSST) Informatics and Statistics Science Collaboration. Progress in disciplines such as astronomy is increasingly being made through large-scale, multi-institution projects, often referred to as “Big Science.” It is only through careful statistical analysis that the massive amount of information (the “Big Data”) produced by these endeavors will be translated into answers to the questions of interest. This talk will make a connection between fundamental statistical concepts and the challenges facing astronomers and cosmologists as they seek to make use of the flood of data that result from modern experiments. Monday, May 18, 4:30 p.m.
For those of you interested in financial markets, we have an upcoming talk and a fall seminar that may be of interest. First up, this Monday, Grinnell College professor, Mark Montgomery, will give a lecture about the ins and outs of “The Notorious Efficient Market Hypothesis,” as he calls it. The efficient market hypothesis is essentially in two parts: First, that all publicly available information is immediately internalized into the extant stock price. Immediately is pretty fast, so it’s tough to beat the market. So, secondly, it is not possible to earn above average returns without taking above average risks — a disheartening message for any would-be financiers. I’m certain that Professor Montgomery will give us a lively talk. 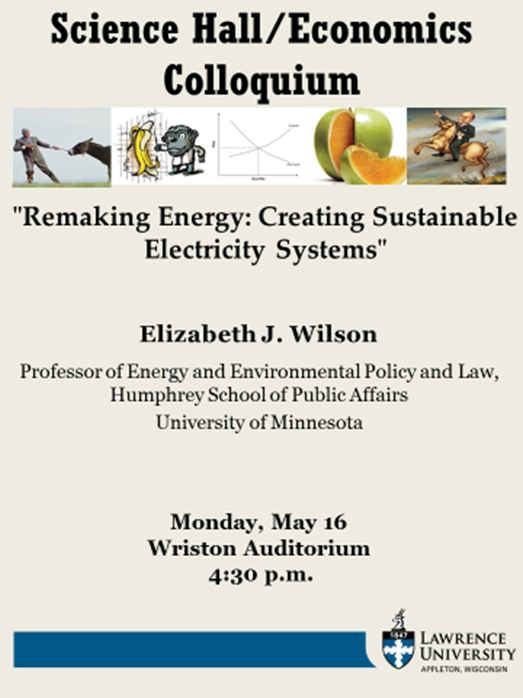 The talk is Monday at 4:30 p.m. in Seitz 102. For those of you interested in learning about how economists think about investments should consider the Investments directed study that we will offer in the fall of 2015. In the next few weeks we will roll out our 2015-16 schedule, so watch this space for details. ABSTRACT: The challenge of integrating refugee women into societies recovering from warfare is a difficult one. Although numerous programs by the UN and other actors exist to promote women’s economic agency and political participation, few studies have examined their impact. This project tries to close that gap by examining the gender policy of the Refugee Agency of the UN in Sierra Leone, West Africa. Based on research in the Kailahun District, the site of the recent Ebola outbreak, this talk will argue that while many projects benefited women and girls by improving economic livelihoods and access to education, similar efforts to improve health care failed. In addition, the talk will consider how to best promote the participation of women in a democratic political process. What is the trade-off between representation and expertise? The American school board is an iconic institution of representative, local government, but one that attracts very little attention. Fewer than 10 percent of voters bother to meander to the polls for school board elections. Yet school boards are in the center of high-stakes debates about the Common Core, academic achievement, property taxes, school finance, and teacher assessment. Using a national survey of school board members and our own calculation of district-level student achievement, we describe whether school board members appear to have the capacity to govern — and how that capacity relates to a key policy output, students’ academic performance. Wednesday, October 1, 4:30 p.m.
Abstract: “Big Data” does little to explain the human condition, but it offers unprecedented opportunities to model how people choose. Professor Shober will describe how Google and Amazon know what you want with uncanny accuracy, and how in his research program he uses similar tools to examine how journalists cover politicians. 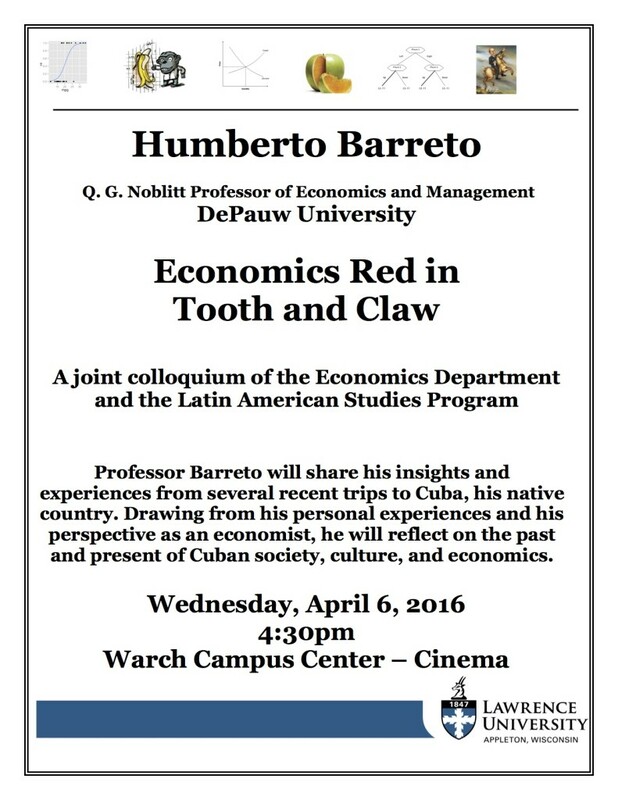 He will also discuss some of the practical and statistical difficulties when analyzing billions of data points. The talk is March 6 at 11:10 a.m. in Steitz Hall 102. UPDATE: A very good talk. Unfortunately, we did not get video for his one. Mr. Andersen will provide an overview of the U.S. health care system, including a brief history of the emergence of our current system, and where the system stands in terms of the implementation of the Patient Protection and Affordable Care Act. He will also discuss the emergent role of integrated-delivery systems, and how these systems shape provider incentives in terms of costs and quality, and the anticipated effects for patient outcomes. Economics Colloquium, Tuesday 11:10 a.m.
Eva Dziadula, a Ph.D. candidate at the University of Illinois-Chicago and an instructor at Lake Forest College, will be on campus on Tuesday for a lunchtime Economics Colloquium. 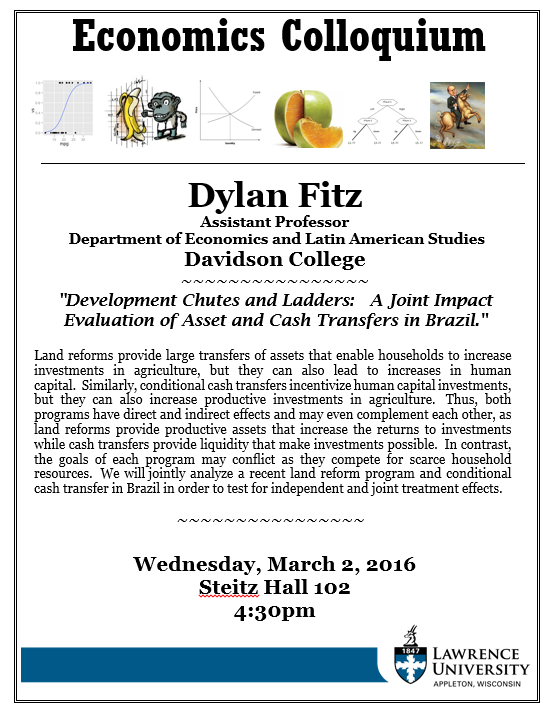 The talk will be at 11:10 Tuesday in Steitz 102. You can take a look at the paper and bring your questions. Abstract: This paper builds on a model of the naturalization process in which personal characteristics, characteristics of the country of birth and of the destination region in the United States are shown to be important determinants of acquiring citizenship. While the existing literature has examined the role of education in determining naturalization, I introduce the notion of country specific human capital and suggest that higher education acquired in the United States should have a larger impact on naturalization than education acquired elsewhere. 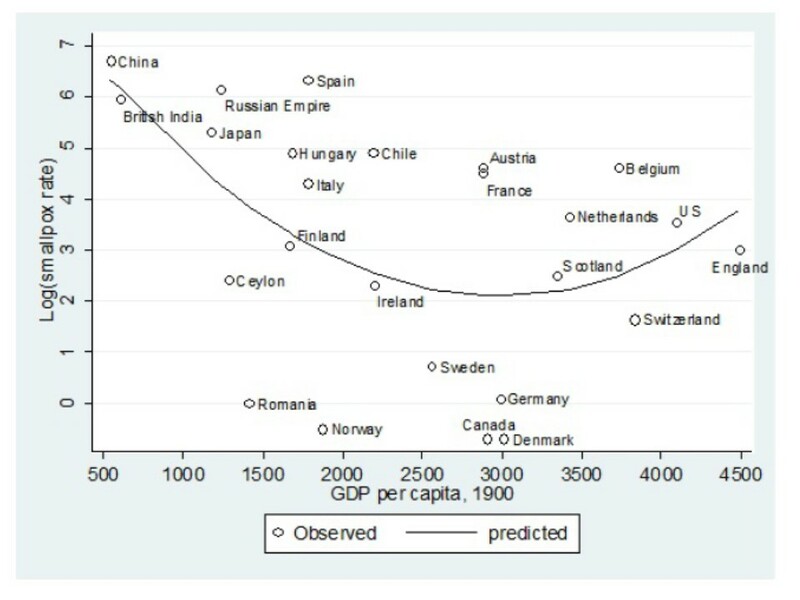 Empirically, I show that the impact of education depends strongly on where the education was acquired, suggesting that years of education is a crude proxy for human capital in this context. By contributing to a better understanding of the mechanism through which education impacts naturalization, this paper helps further the literature on immigrant naturalization as well as the study of human capital more generally. Professor Shook is an outstanding scholar and also committed to service, having won the Chancellor’s Distinguished Public Service Award from the University of Pittsburgh in 2013. 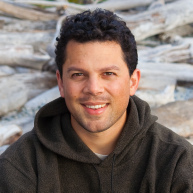 His research examines the intersection of law, policy, and practice in the lives of children and youth, focusing on the transfer of juveniles to the adult criminal justice system, the administration of juvenile justice, the movement of youth across child and youth serving systems, and the experiences of youth “aging out” of the child welfare system. Jeff also is involved in efforts to end the sentencing of juveniles to life sentences without the opportunity for parole both in Pennsylvania and nationally. Shook, Jeffrey J., Michael G. Vaughn, Sara Goodkind, and Heath Johnson. 2011. An empirical portrait of youthful offenders who sell drugs. Journal of Criminal Justice,33(224-231). Shook, Jeffrey J. 2011. Prosecutorial decisions to treat juveniles as adults: Intersections of individual and contextual characteristics. Criminal Law Bulletin,47(341-387). The next Economics Colloquium will feature Paul Fischbeck, Professor of Engineering & Public Policy and Social & Decision Sciences at Carnegie Mellon University. His talk focuses on several of his current research projects. The first topic relates to his work chairing a National Academy of Sciences examining risks of oil spills in Buzzards Bay and the Cape Cod Canal. A second addresses the ability of buildings in Nairobi to withstand extreme events. Professor Fischbeck will be on campus to assist in curricular developments quantitative decision making. He has been recognized as an outstanding educator, and in particular his “expertise in leading team project-oriented courses that teach students problem-solving skills.” In 2010 he picked up the Ryan Award for Meritorious Teaching, a university-wide award at Carnegie Mellon. Professor Fischbeck has a Ph.D. in industrial engineering from Stanford University, an M.S. in Operations Research from the Naval Postgraduate School, and a B.A. in architecture from the University of Virginia. He is a retired Captain in the U.S. Navy. 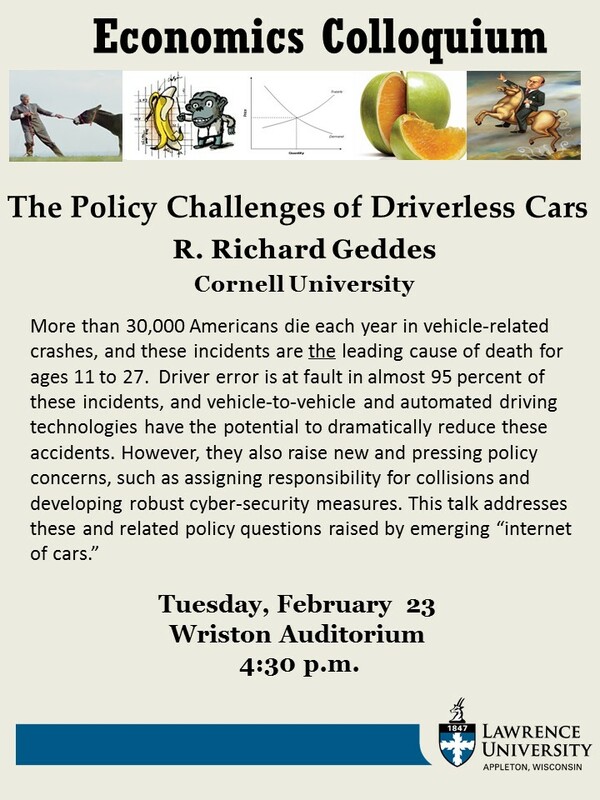 UPDATE: Here is a link to the talk.